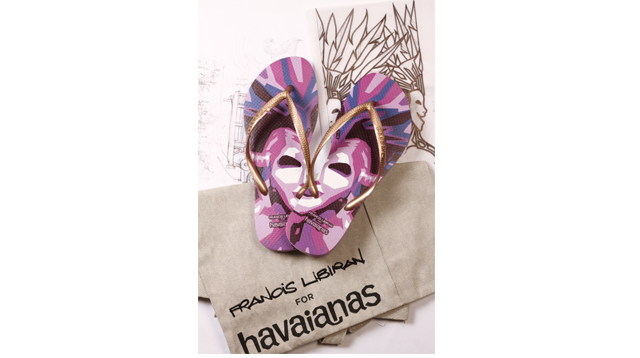 Francis Libiran's Havaianas designs for Christmas? Yes please! Think you'll never be able to afford a Francis Libiran creation? Think again. 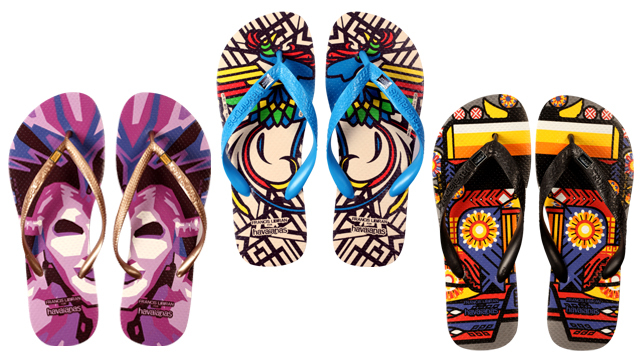 Havaianas came out with new collections for the holidays and has tapped the Pinoy design genius for their new line. 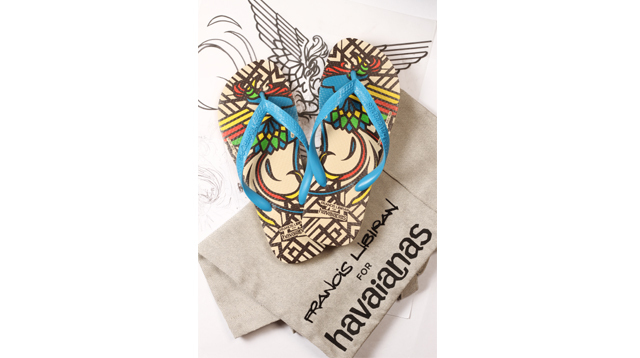 “For this collection, each pair of Havaianas serves as a canvas for Francis’ artistic expression and aesthetics. He has translated his creative vision and his talents into something suggestive of the Filipino culture through a piece, which has become a fashion staple in our tropical country. Fans of his work will also be able to own something that isn’t a ball gown, which means they can use it everyday. He has helped us showcase Filipino talent and culture by creating beautiful but practical pieces” says Terry S.A. Managing Director Anne Gonzalez. 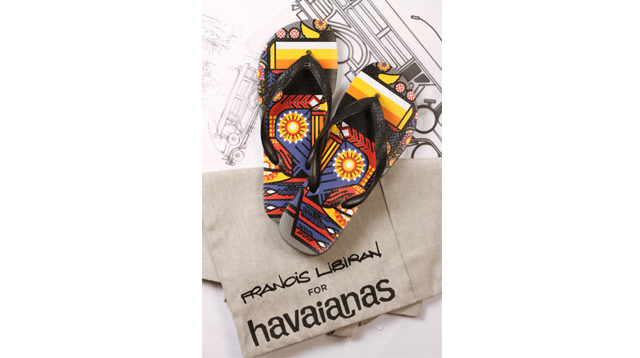 The Francis Libiran for Havaianas collection is available in three very Pinoy designs: Festival, Island, and City. Libiran was inspired by the Philippines’ various festivals, celebrations, and color. “I was very excited. I personally have to have my Havaianas every summer. They’re number one in the world, so to have your name on Havaianas is something,” he says. Francis Libiran says his number one goal when planning for the collection is to make sure it has his signature style written all over it. “When Havaianas approached me and asked me to design something for them, I wanted to incorporate my signature details.” Island celebrates Pinoy pride with the fusion of various design elements pulled from the country’s multicultural background. Above all things, Francis says his ultimate goal is to make the collection fully Pinoy. 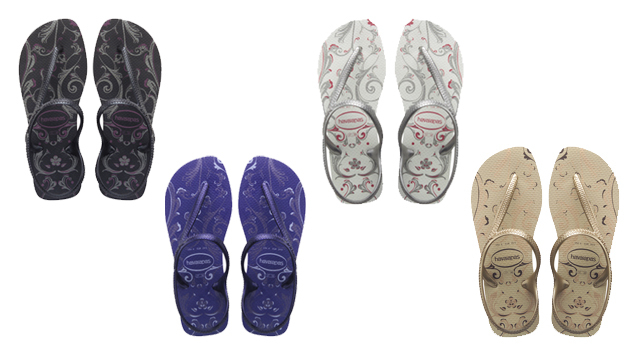 “Flip-flops are ingrained in Philippine culture, so I could only imagine the statement my designs would make on them. Because people use them everyday, I thought some people would question why they would be so designed, because they’re just flip-flops, but for me, it’s about creating wearable pieces of art.” City firmly shows the Philippine's popular culture as expressed through one of the country’s most iconic symbols: Jeepneys. Running out of gift ideas for your girlfriends this Christmas? Look no further because Haiavanas Philippines also came out with these new designs from their Holiday 2014 collection which includes Flat, Flash Urban Fresh, and Slim Island! Check out the next page to see their new designs! 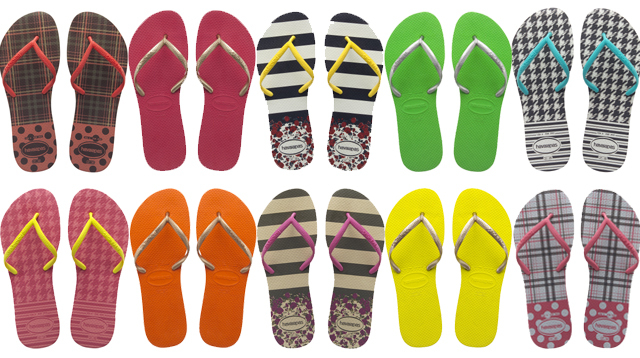 For your laid-back, homebody friends, get them a pair of Flat flip-flops from the Havaianas Holiday 2014 collection! The basic Flat Up designs are great for staycations while the fun Flat Mix designs would be great companions for trips to the mall or to Christmas bazaars. If your friends love outdoor trips, buy them a pair of these functional sandals! The Flash Urban Fresh from the Havaianas Holiday 2014 collection could be their best companion for day hikes and long walking tours. Flash Urban Fresh is available in four designs: Black, Sand Grey, White/Silver, and Ice Violet. 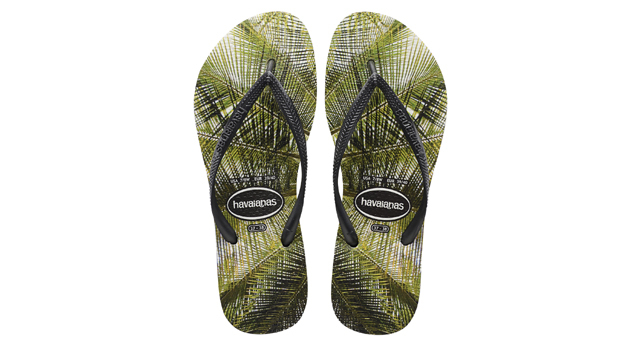 For your friends who crave summer-all-year-long, give them a pair of Slim Island Palms which features tropical prints that would remind your friend of the beach even during this cold, holiday season. Slim Island Palms is available in Black under the Havaianas Holiday 2014 collection. Can't wait to get your hands on these latest collections? They're avaialable in all Havaianas retailers, so get your shopping shorts ready! Each pair will be available in specially-designed packaging which makes for really cool gifts this holiday season. For more deets, follow Havaianas Philippines on Facebook and @havaianasphils on Instagram and Twitter for more updates.